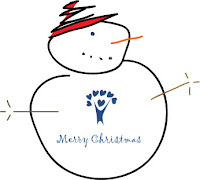 All Children's Hope International offices will be closed on December 24 and 25, and January 1 for the holiday season. Children's Hope wishes you and your family a blessed Christmas and New Year. Happy holidays from all of us to all of you! Thank you, Jennifer! We're very excited to be traveling!